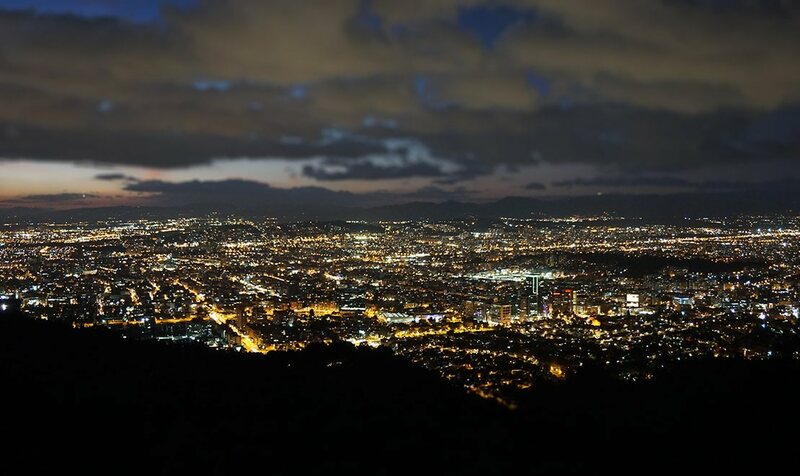 Mirador de la Calera is best known as a scenic viewpoint in the area of Bogota, Colombia. It is found in the Usaquen area, which is one of the most historical zones within the Bogota area. The area to which it belongs was officially annexed in 1954 and now is home to nearly half of a million residents. There are many sites of interest in this general area including the Country Club, the colonial quarter with Spanish colonial architecture, shopping malls, and weekly flea markets that bring in many visitors from far and wide. It’s easy to create an itinerary filled with various awesome attractions in just a few square miles! It is also worth noting that the area is surrounded by forests which allows you to take in nature while enjoying the contrast of artificial lights to the night sky when you decide to visit at night. The charming atmosphere will have you hooked the first time you come to visit, that’s without a doubt! This is the perfect place to head to if you’re somebody who revels in natural beauty. It brings in thousands of visitors each and every year for the sole reason that it offers unbeatable panoramic views of the capital of Colombia. It is quite a popular place for locals and tourists to go during the weekend and holidays because of the view of the lush landscape as well as the distinct clean quality of the air. It is busy at night because it’s a fantastic place to take in the sprawling views and city lights! The contrast of the lights and the dark atmosphere makes for an unforgettable night, especially if you’re viewing it with your sweetheart. It is not uncommon to see all of the visitors at Mirador de la Calera enjoying a few glasses of wine, beer, or canelazos. Since the elevation is quite high in this area, it can get cold, which is all the more reason to drink a hot cup of agua de panela with whoever might be accompanying you on the journey! There are many coffee shops and restaurants in this general area, so you can see why it is such a social highlight in the area of Bogota. It is quite easy to relax when you have such an astonishing view laid out before your eyes! If you happen to be a tourist that is unfamiliar with the area, you will be happy to know that this scenic overlook is located in an extremely safe area, so you don’t have anything to worry about as far as your safety is concerned. Try to remember to bring some cash to enjoy the souvenirs and trinkets that are being sold at the street market in the area. Restaurante El Mirador de la Calera is just one of the popular establishments that you can consider eating at while you’re here. It has been mentioned before, but it does get very cold up at Mirador de la Calera. Be sure to bring some warm clothes with you or even a blanket so you aren’t affected by the cold weather negatively. You can also get firewood along the road to make your own fire at one of the pit areas. Depending on when you visit the area, you could be in store for some talented local musicians putting on live entertainment. Consider coming to watch the sunset here, as you will not be disappointed in the least. If you decide to come out on a clear sunny day, you can see the snow-dusted mountain ranges in the western part of Bogota. This isn’t the only lookout in the area, so do a bit a research and consider making it a road trip to see all of the highest points, as the view is different at each and every one of them. There are local tour guides who offer tours of this area which includes drinks and live commentary about the history of the area.